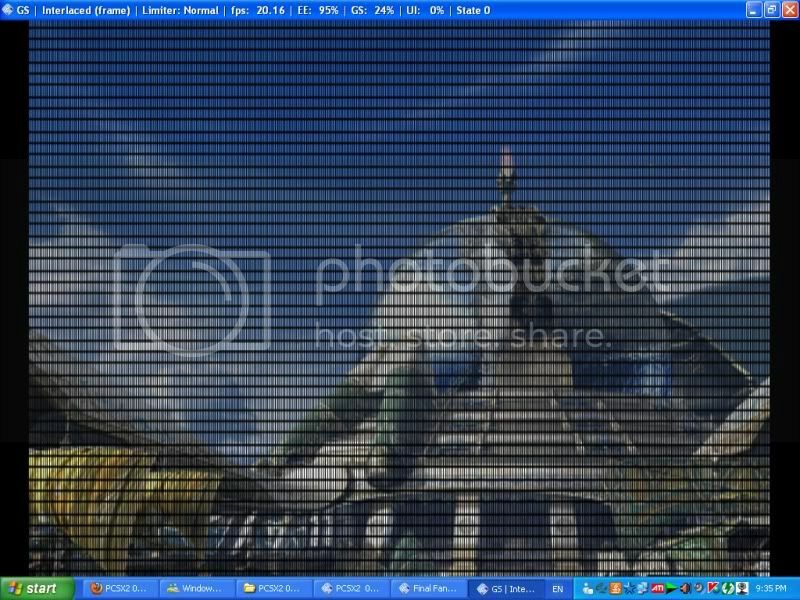 i run into some graphical error during fmv and game in final fantasy X-2 [Image: finalfantasyX2.jpg] . but when i change the graphic to zerogs , the bugged fix but after the fmv , the whole screen become like puzzle blok and missing here and there. Then i change back to gsdx and change it to software render, the graphic bugged fix but the game kept shaking and slower.The fps during fmv is arond 20 fps which was really slow.In final fantasy X , the fps never get below 30 . Is there anyway to fix it? at the moment, not really. Just switch to software mode (F9 key) for each FMV and get back to hardware mode when getting back actual gameplay. oh ic. thx for the quick respond . I try press f9 key to change the mode but nothing happn. Using pcsx 0.9.6 version. Uh did you try the 0.9.7 beta yet as suggested by iakoboss7? It should switch hardware/software with F9 nicely now. I just recently started using pcsx again with the new beta to see if it fixed the games i had, and for the most part they all work. But i also have this guys problem with ffx videos, f9 does fix the weird grid b&w overlay but the video/audio runs at like half speed that way. I guess thats just hardware speed? Though my pc is rather beefy. Just wanted to add that slight bug to the conversation. Pressing F9 changes hardware to software mode and vice-versa. Generally software mode is slower than hardware so it will run at less fps. Ticking native on gsdx will solve that vertical lines problem too. The videos in FFX-2 are almost completely CPU limited, you would get the same speed in hardware even without the glitch. They are known as being very slow, in fact they're so slow they're used as a PCSX2 CPU benchmark.